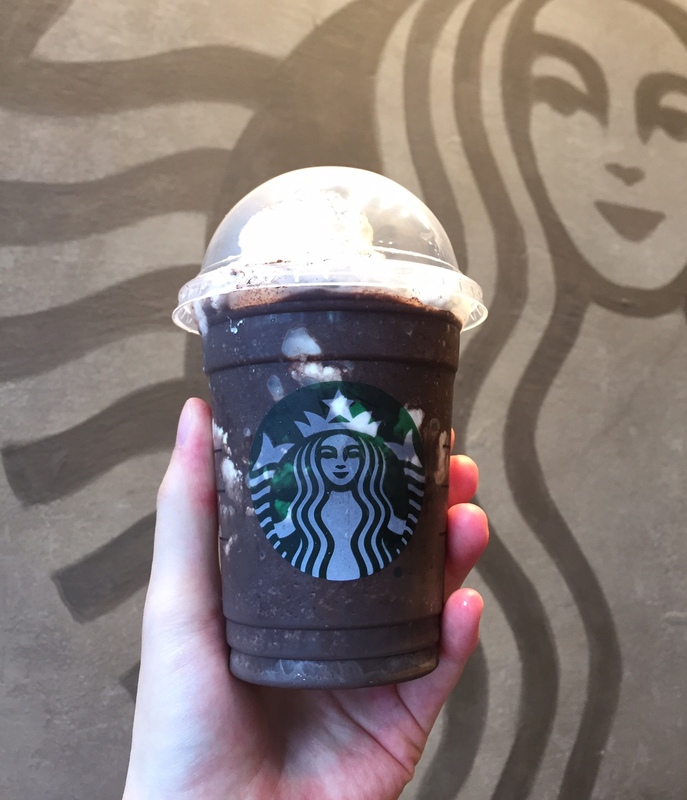 Starbucks launched Midnight Mint Mocha Frappuccino on May 2, 2017, but I hadn't had a chance to try it till today. 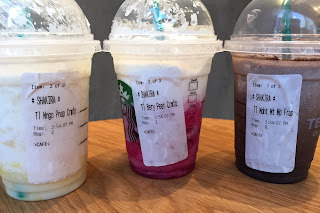 I thought it's discontinued but when I was to buy Mango Pineapple Frappuccino and Berry Prickly Pear Frappuccino, I saw they still had the poster of Midnight Mint Mocha Frappuccino so that I bought all 3 together. An advertisement in the cafe. The location I went to was new and the inside was clean and had nice wall decorations. 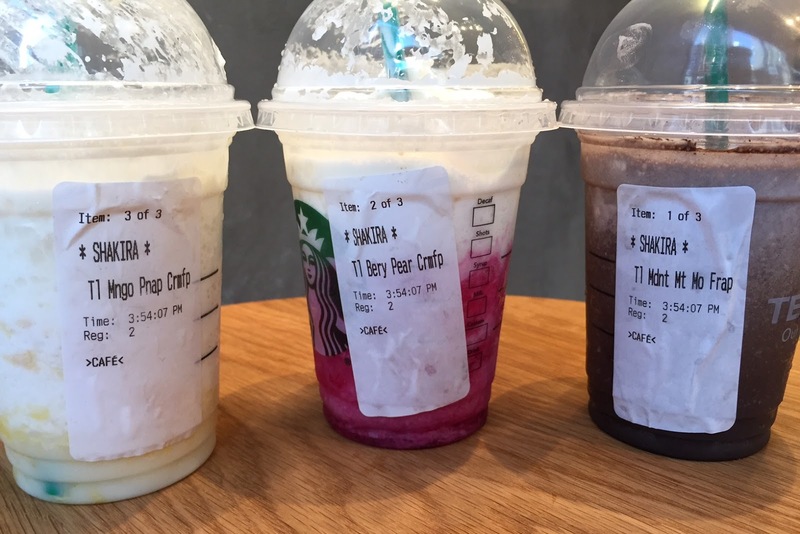 From the left, there're Mango Pineapple Frappuccino, Berry Prickly Pear Frappuccino and Midnight Mint Mocha Frappuccino. 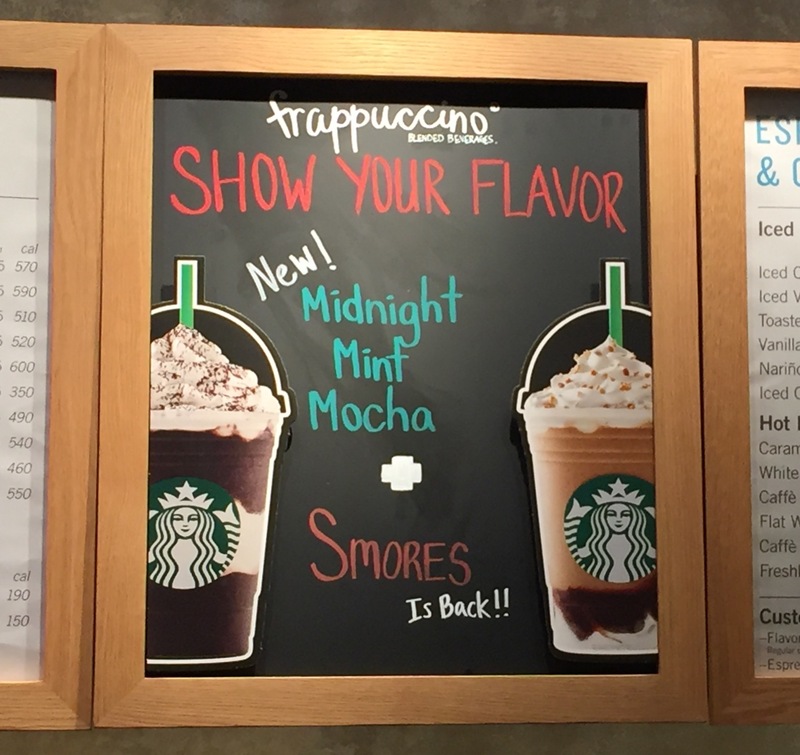 "We've paired the dynamic duo of dark cocoa and refreshing mint with our Frappuccino Roast Coffee, milk and ice. 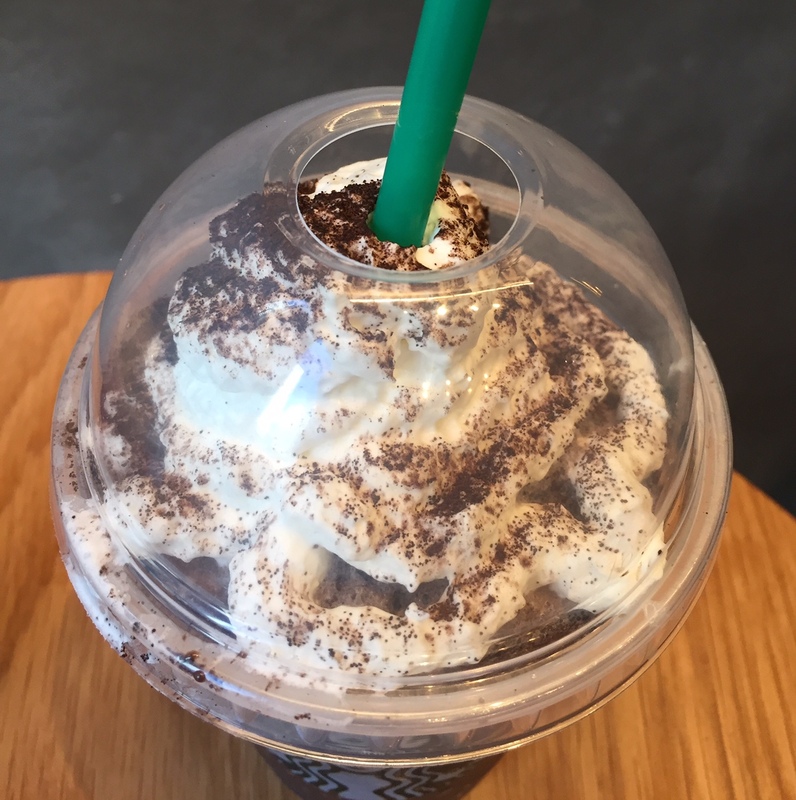 Next we infuse the blended chocolatey beverage with cooling mint sugar crystals, cut in a layer of whipped cream, then top it with more whipped cream and a dusting of dark cocoa. Don't wait to dig in: This chocolate-lovers dream is only here for a limited time." Whipped cream + dark cocoa powder were correct. I ordered 3 flavors at the same time thus I got 3 Shakira stickers. 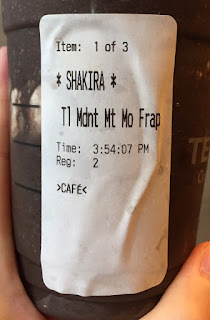 To me, it tasted like turmeric because of the bitterness of coffee and dark cocoa with a hint of herbal scent, which could have been mint. 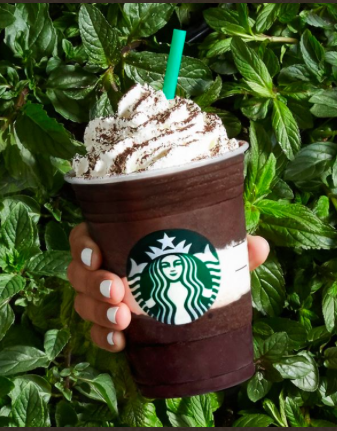 I tried looking for mint in this beverage but it's quite weak for this dark brown coffee flavors Frappuccino and I never found cooling mint flavor. Mixing with the whipped cream on the top didn't help to taste mint either.